Windows Live is the popular Microsoft service that is the umbrella title for all of their online storage, email and messaging apps. Available via the browser or as downloadable desktop applications in Windows Live Essentials, these tools can be used to enhance and extend your Windows experience. From time to time you might run into trouble using Windows Live or one of the Windows Live Essentials applications. These problems can usually be resolved with a bit of troubleshooting, and here at Bright Hub you will find many articles providing tips to resolving these problems. As there are many constituent parts to Windows Live Essentials 2011, you might not be entirely sure exactly what you are installing when you first download the installer package. What is Windows Live Essentials? explains the main applications that come with this suite, available free from Microsoft. If you prefer a more detailed look at the component applications in Windows Live Essentials 2011, Getting Started with Windows Live will provide you with details on the full range of online and desktop applications that form the Windows Live family. One of the most common problems with Windows Live Essentials 2011 applications is in the email client, Windows Live Mail. This application tends to issue error messages from time to time, and although these are usually easy to understand, finding a fix for them can be difficult. The most common fault is the 0x800ccc0e error, which can be understood by following the steps in How to Fix a 0x800ccc0e Windows Live Mail Error. Email security is a vital aspect of any email client, and Windows Live Mail features tools for managing spam and preventing phishing. Find out more about these features and stay safe when email by reading Security Options in Windows Live Mail 2011. 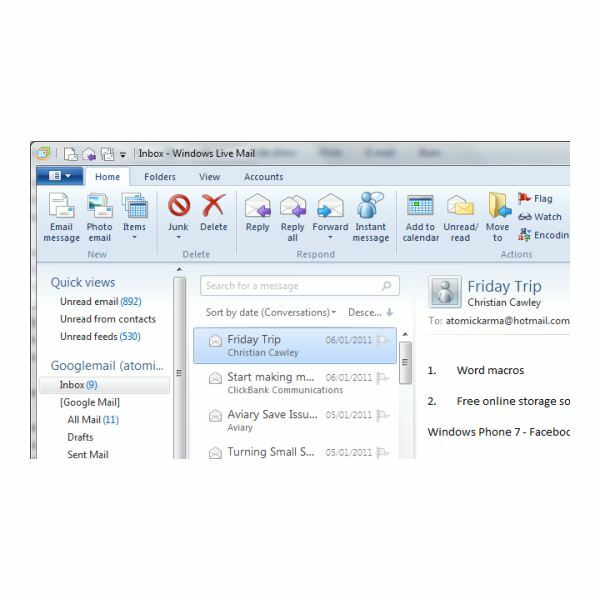 Windows Live Mail also features a calendar which can be used to sync data with your online Windows Live calendar (accessed through a Hotmail/Windows Live email account). Windows Live Mail Calendar Configuration Tips provides all the information you need to get started managing this feature. One of the most common reasons for installing Windows Live Essentials 2011 is to get the latest version of the Windows Live Messenger chat client (previously MSN Messenger and Microsoft Messenger). If you’ve had the same chat profile for several years, you might be interested to know that you can change your nickname on messenger – Instructions for Changing Your Nickname on Windows Live Essentials Messenger 2011 will make clear how this can be done. Additionally, you might have seen friends and contacts displaying song titles in Windows Live Messenger. This information is fed through from Windows Media Player and is something that can be easily setup by following the steps in How to Display Song Titles in Windows Live Messenger. 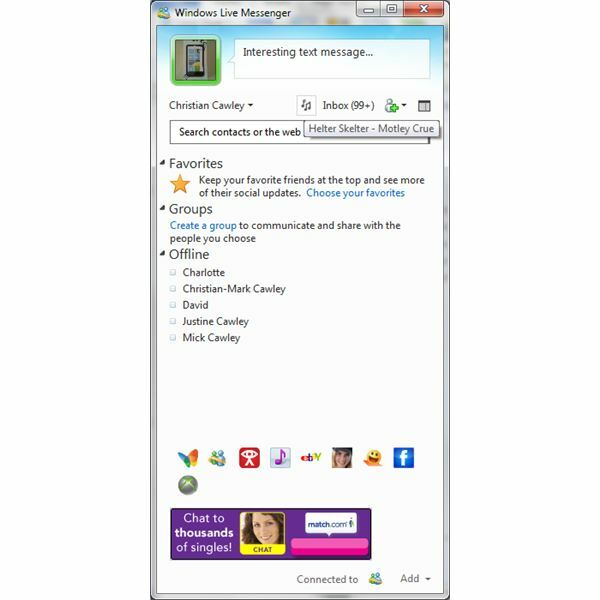 Meanwhile, you might have decided that Windows Live Messenger is a bit of a distraction from your work – however it is pretty easy to disable, so you might consider switching the chat client off rather than uninstalling it. These articles cover the main questions on the most popular Windows Live Essentials 2011 applications – however there are other tools that you might be interested in. Windows Live Photo Gallery for instance is a useful tool for displaying and managing your digital photos, but problems can occur. Resolving the majority of these problems is simple, however, usually requiring the regeneration of the gallery database. Finally, among the Windows Live Essentials applications you will find the latest version of Windows Movie Maker, Windows Live Movie Maker. For getting setup with this latest version (and to help you decide whether to use the latest Movie Maker or an older version) see Windows Movie Maker in Windows 7 for some expert information.